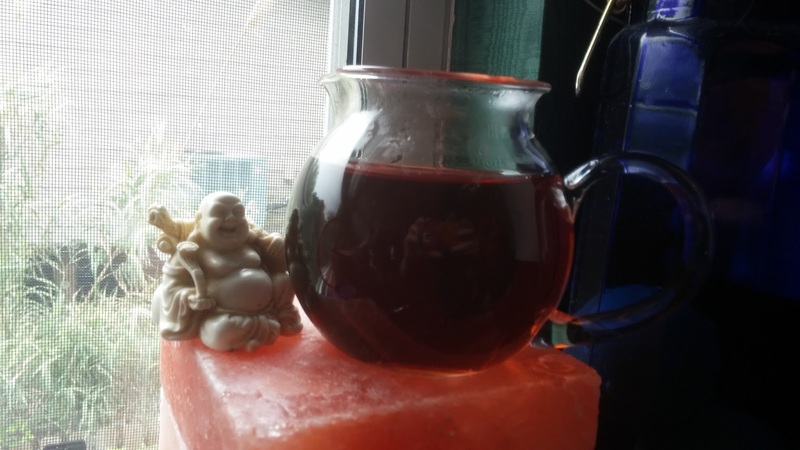 I started my tea business in 2013, so at this point I would expect most of my friends to know that I sell tea. 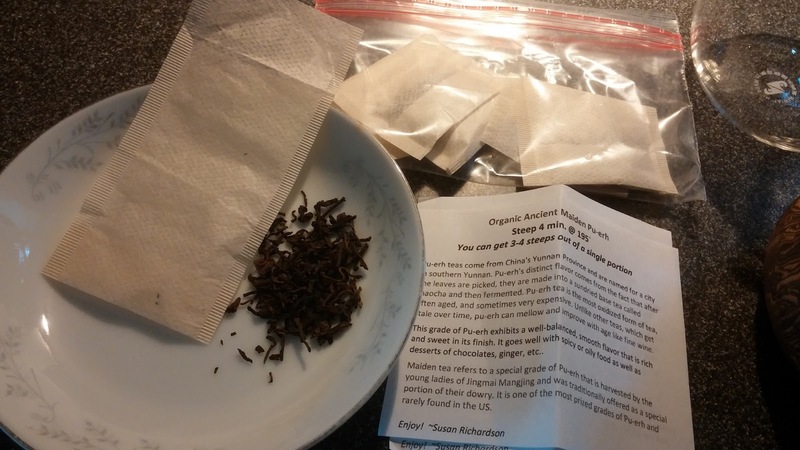 I carry over 50 different types of tea, and my home is filled with teas I’ve picked up while traveling to various tea festivals and trade shows. Therefore, it boggles my mind as to why people go to Teavana at the mall to buy me gifts! Most of that stuff I have already, and chances are I paid less for it. It also boggles my mind that people keep tagging me on Facebook and/or posting on my wall every time they see some other company selling a tea infuser shaped like an animal. Lately I’ve started replying with: “I sell lots of cute tea infusers too if you are interested!” I know they mean well, and that they think of me when they see anything tea-related, but at the same time, I wonder how they would feel if I started posting on their FB wall every time their business competitors came out with a new product or service! They would probably be (rightly) puzzled and annoyed! 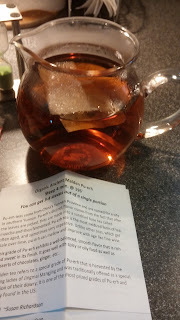 That said, I do enjoy trying out other companies’ products so that I know what they’re up to and what the latest trends are, and also because I am, first and foremost, a tea lover. And to be fair, it’s actually been a big eye-opener for me to learn how obsessed people are with novelty tea infusers! I’ve just stocked up on several new infuser shapes to tap into this market. All of this brings us to the tin of Oprah Chai I received as a gift. 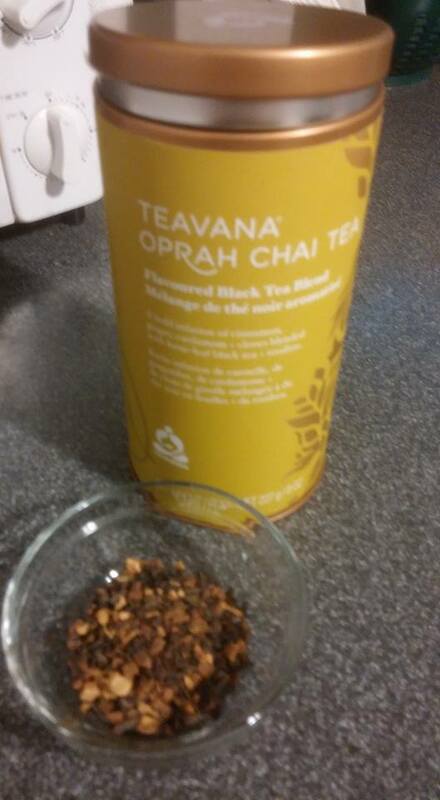 For a while, Oprah Chai was actually my drink of choice when I’d go to Starbucks. 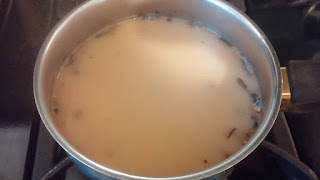 However, I always felt that it didn’t have enough flavor or “zing”; that it was just a watered-down, Americanized version of the spicy Indian chai. Just the fact that the tin bears the redundant "chai tea" in its name is enough to set my teeth on edge! This morning I was in a Chai mood, so I pulled out the big tin, cut open the wrapper inside the tin and was met by – SURPRISE! – big chunks of spices along with the curls of black tea leaf! The label states that this chai is a “bold infusion of cinnamon, ginger, cardamom + cloves blended with loose leaf black tea and rooibos.” The ingredients list also mentions black pepper, carob pieces, chicory root, and natural flavors. I’ve never thought about carob or chicory as tea ingredients and had no idea they were in here when I drank it at Starbucks. I’ve also ranted in the past about how Starbucks’ regular chai does not have any noticeable black pepper flavor in it, so I’m pleased that this one includes it. The brewing instructions suggest one to two teaspoons per eight ounces of 195-205 degree water (90-96C) and a 3-4 minute steep time. This contrasted sharply with the telepathic message I received from the spices in the bowl you see below, and my own knowledge of proper steeping of teas and spices. I could hear them crying out to be simmered in a mix of boiling water and milk for five minutes, so that’s what I did. 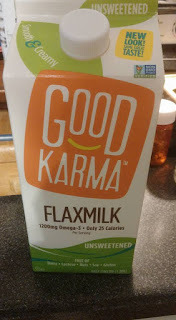 I opted for 3 heaping teaspoons of the chai, one cup of water, and one cup of Flax milk (purchased at the soon-to-be-out-of-business Fresh Market). I brought the liquids to a boil, turned the burner down to low, added the tea, covered with a lid and simmered for five minutes. Then I strained the light-brown liquor and added one packet of Splenda (since I’m trying to cut down on sweets because my A1-C is high). The top note of cinnamon hit my nostrils first, and the cinnamon is equally dominant in the flavor. It and the ginger, pepper and clove combine to create a tingling sensation on the tongue and in the esophagus. The carob and rooibos lend a strange and not altogether agreeable aftertaste. Or maybe that was the Splenda? Anyway, this is not my favorite chai blend in the world, but it will do in a pinch! The next time the chai craving hits, this will definitely serve the purpose. 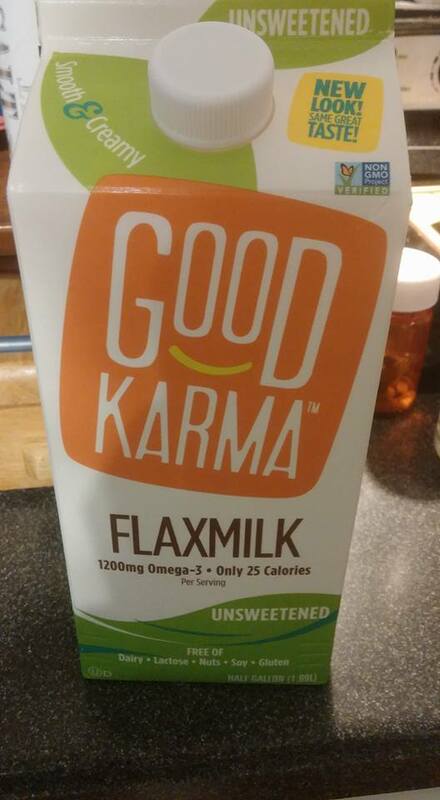 Next time I’ll try it as the label recommends and note any differences. Lastly, I want to acknowledge the huge contribution that Oprah Winfrey has made in the world. She’s been a remarkable success story and I can’t help but admire her. Four dollars from the sale of each tin go to her Oprah Winfrey Leadership Academy Foundation: a good cause!